Pro Disposal & Recycling, Henderson, Colorado, has announced Regina Chacon has been named a finalist for Driver of the Year in a national competition sponsored by the National Waste & Recycling Association (NWRA), Arlington, Virginia. 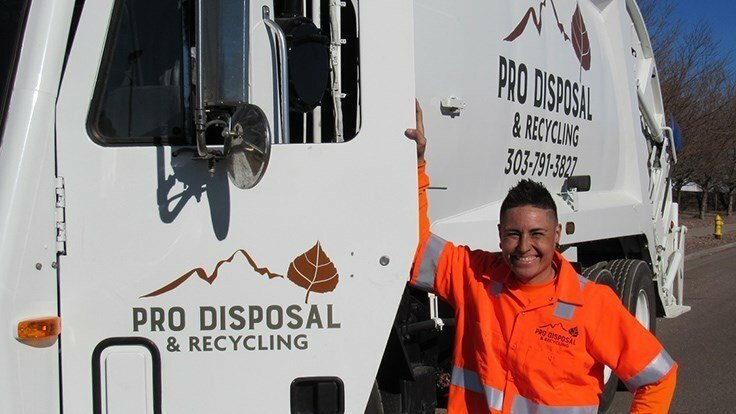 Chacon, who Pro Disposal & Recycling says has almost single-handedly turned her Lone Tree, Colorado, route into a marvel of customer satisfaction, was named for distinction in the Small Company category. Winning drivers, according to NWRAs website, demonstrate the ability to operate their trucks in a safe and responsible manner, have an outstanding performance record, and contribute to the positive image of the solid waste industry. Assistant District Manager Robert Rodriguez, Chacons boss, says she had more than 1,800 consecutive work days without a vehicle accident and without a reportable injury, working in a field traditionally dominated by men. Chacon is the main driver serving Lone Tree, which was recently recognized as the community with the nations highest rating for customer satisfaction in waste hauling. There are a lot of things to like about my job, including the exercise, fresh air and occasional challenges, says Chacon, adding, but I get the greatest reward from knowing that I have pleased so many thousands of residents over the years. Some of them have become like family to me.